How far from the net is the perfect set? I decided to make this quick video of some frames to help players with their sideout. Setting has a lot to do with our sideout percentage. Almost every day I hear amateur players talk about where they “need” their set. Some sets feel great in warm ups because we can bounce them on an open net but as soon as we are in a game situation, this has to change. 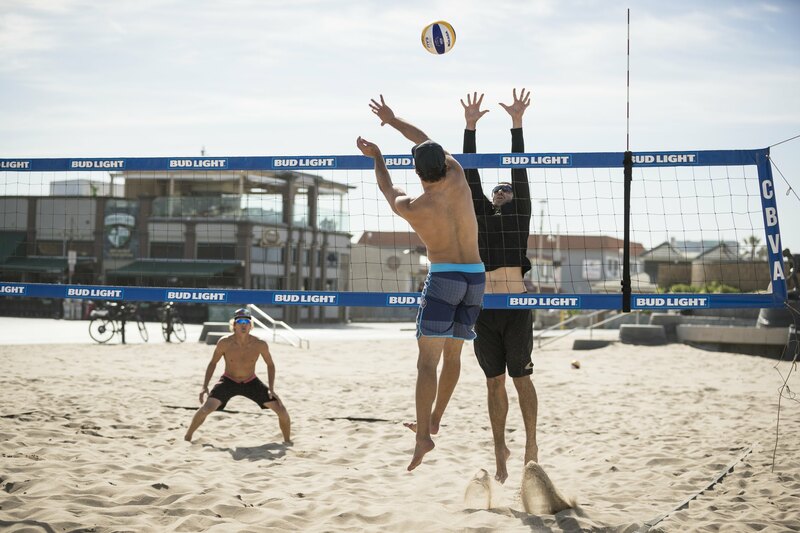 If a set falls anywhere near the net in a game of beach volleyball, a blocker will be there to smother it. Options get limited quickly when a blocker is in your face. We also don’t get punished for oversets during warmups because no one is keeping score. Players end up imagining that their “perfect set” is right on top of the net when in reality, it leads to a weaker offense and A LOT of over sets that give points to the other team. This freeze frames were taken to show all of us how far from the net Olympic athletes set the ball. Spoiler Alert: IT’S A LOT FARTHER THAN YOU THINK!!! Let me know what you think below! Head over to our EXTRAS tab and get your own match videos analyzed by pro players! We have training every day and we also offer 7 Night Training Camps in Hermosa Beach, California. Hope to see you on the beach!